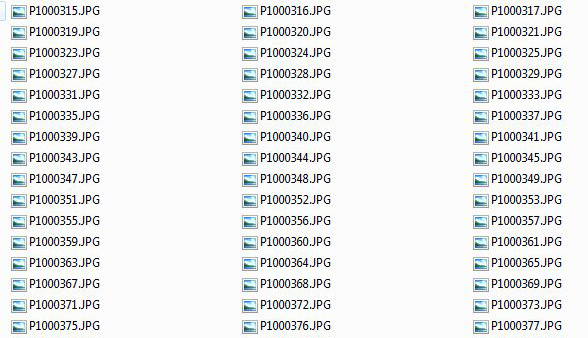 You can heap them all into a folder called Kings Park but they are still not easily identified as you browse. You could rename them all individually or you could simply rename them all Kings Park. You can do this by selecting all the pictures in the folder then tap the F2 key on the keyboard, then rename the first of the series Kings Park. All subsequent files will be enumerated making it easier to locate and manage images.